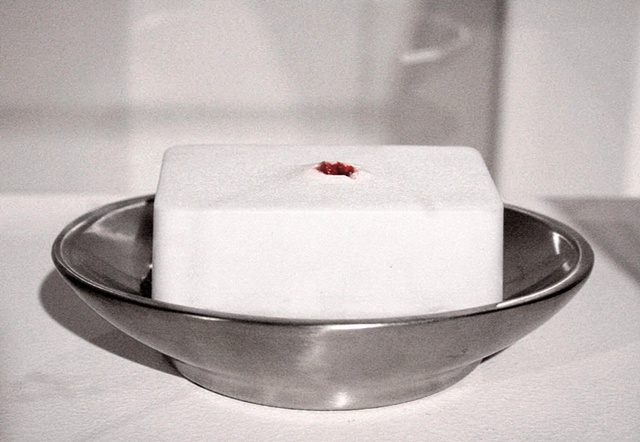 STIGMATA: The wound of Christ has manifested itself in a bar of soap. In an ecstatic state, overwhelmed with emotion one can experience real or imagined pain and/or wounds, in this case the stigmata has been transferred to a bar of soap while trying to wash it off. Whether you believe in God or not this is a comment about the fantastical and often ridiculous nature of religion and its stories.